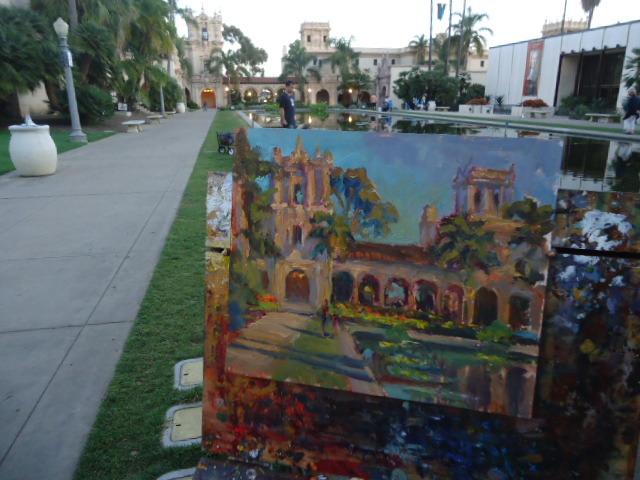 I recently took the train down to San Diego to paint in Balboa "City Park". In my research of Art History I knew that the artist Colin Campbell Cooper spent time in this incredible setting, painting away, capturing the beautiful architectural motifs Alcazar Castle and gardens in Seville, Spain. The setting is timeless, and motif asethically appealing to the artist's eye.